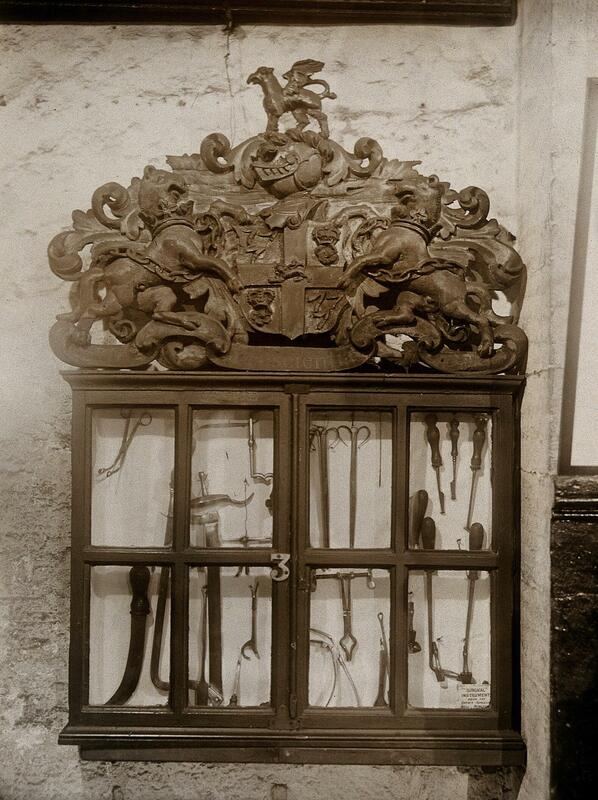 The Barber Surgeons' Guild of Newcastle: surgical instruments in a display case bearing the Guild's coat of arms. Photograph, ca. 1900.